Hello my friends! The waiting is over, my Christmas Gift Guide 2018 is live!! I worked two entire days on the photos after collecting all the gifts I wanted to feature. In my selection, I present classic presents but also less classic ones, amazing deals I found etc. For example I had this idea to assemble products from Luxembourgish start-ups! Also, you will exclusively discover a new accessory brand from Luxembourg! I linked every product so that you can find it easily and added the website of each brand as well! “LU” means that the product is only available in Luxembourg. And of course, I prepared a few surprises for you as well! Now enjoy my guide and be so kind, leave me a comment at the end, I would really appreciate some feedback! Who doesn’t know the Daniel Wellington watches? The minimalistic design and affordable price made this brand so popular. I opted for the Classic St Mawes, which is also available in a gift set! The set that I chose includes a second strap, the ruby red Roselyn Nato, the Christmas colour par excellence! Currently they have -10% on all gift sets and they gave me the code KATINA which gives you a total discount of 25%, beautiful gift wrapping included! The price of the gift box with the total discount is 148,75€. Instagram inspired me to get myself a pair Gucci’s Horsebit loafer. For me, the perfect gift “from me to me”. The loafer is super comfortable and I love to wear it casually as well as for special occasions. I won’t lie, it’s the comfiest loafer I’ve ever worn! My current philosophy is quality over quantity! In fact, I stopped buying randomly cheap footwear and it feels great to have a timeless pair which goes with everything. I think from time to time, especially for Christmas, you should spoil yourself and a shoe is my personal symbol of moving forward. Gucci doesn’t deliver to Luxembourg but there is a store in Luxembourg City. The price is 595€. Everybody loves instant cameras! You can instantly take snaps which will be printed in a vintage style. It’s good fun for adults and kids. I see instax cameras at every wedding I shoot but kids also love to play around with them. My favourite is the Fuji Instax, but the Polaroid in vintage colours is beautiful for sure!! By comparing the prints, I prefer the Instax. You can get it in many stores, in Luxembourg it’s available at Saturn for example, I ordered mine at Urban Outfitters! The average price is 140€. a festive outfit - my gift from me to one of the ladies out there! So my friends, you will see, in this blogpost are hidden several surprises.. :) And the first one is the following: a shopping voucher of 250€ to spend at the fashion store Ville Neuve located in the shopping centre Belle Etoile in Luxembourg. The entire outfit I wear above is from the store and I need to say, they have a nice brand selection! From Guess to Molly Bracken, you will find what you are looking for for sure! This is my look for NYE btw :D. So what you need to do in order to participate in the giveaway: comment on this blogpost what is on your wishlist for Christmas, add #christmas2018 and don’t forget to leave your e-mail address in the correct field before submitting (it will not be displayed). I will pick a winner on Monday morning! UPDATE: The winner is Christelle! I’ve just sent you an e-mail and I need your full name please! Thanks everyone for participating, more giveaways will follow this week on my Instagram! Kisses, A. My favourite product from Akabo, a fair fashion store in Luxembourg City, is of course, the Ansvar backpack. A lovely companion for your trips! Not only does it look sweet, it’s also a lovely gift for small and big alike, a fair fashion product and you can fill it with candies or other things for an additional surprise! I took mine to Cuba, the French Riviera, Belgian Coast and Croatia this Summer, we are inseparable! You can purchase it in-store and the price is 50€. 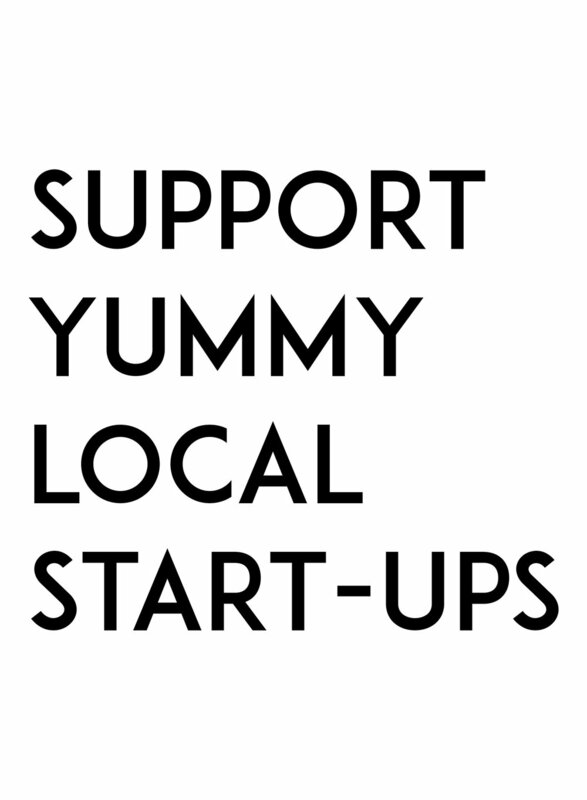 This winter I had the opportunity to discover and shoot different lovely local food start-ups! And I thought it could be a nice Christmas gift to offer a basket full of healthy & yummy newbies! In the Christmas basket I am featuring you can find cold-pressed juices, spices and nut spreads! PS. You can find the craft paper bags at Bastelkiste and baskets at Lucien Schweitzer, both located next to Place Paris in Luxembourg City! First, as you may have seen on my Instagram, there is Apothecary - a coldpressed juice store located in the shopping centre City Concorde. They work with organic vegetables and fruits, the packaging is eco-friendly, and the juices taste amazing! The price of a juice is 6€, they also make shots! The juices must be consumed within three days. There is also the new brand Spice Collection. Roxane, the founder created this brand and offers several spices collected from all over the world! I love the packaging - the first spices I don’t hide in the kitchen shelves! Shop the spices at Apothecary and Luxembourg House! The average price is 7€. And finally, another recent discovery of mine is Nux Organic Foods - it’s all about nut spreads with natural and organic ingredients! Same here, you can find them at Luxembourg House and Apothecary for 7€! The easiest way is to shop the entire set at Apothecary as they sell products from both brands! I did not plan to add shoes at all but when my friend ordered these yesterday after seing them on me, “a Christmas gift from me to me” she said, I thought I should probably share them with all of you! If you are looking for the perfect boot for this Winter, here it is. I spent a whole day in London in finding a simple but beautiful boot and the moment I gave up the search I entered the store BALLY and my soul was sold. :P The boot is called Ingrid! Today, you’re lucky because it’s on sale!! My bf was not so lucky :P. So it's the moment to buy these beauties!! They have a discount of 40%, which makes 450€. Believe me, you will wear them daily and awesome legs guaranteed. PS. Most sizes are still available. Traveling is my big passion, it’s where I feel free and where my photography can take a break from work. I spend most of my money on traveling so here is my personal favourite gift I found in Luxembourg, a travel voucher from We Love to Travel, such a cool one! It’s presented as a small suitcase with some travel must haves, like a camera, flipflops etc. On the other side you can see the value of the travel voucher. The suitcase is delivered in a cute cardboard wrapping so no extra wrapping needed from yourself! Also, you save 15% off the travel voucher you purchase! So if you would like to offer a voucher of 100€, you only pay 85€ for it, in other words, you offer more than you spend! Get the giftbox in any We Love to Travel agency across the country, I got mine at the shopping Centre Belle Etoile. You know I love to spoil you, so I teamed up with the travel agency for the Belle Etoile advent calendar to give away a travel voucher of 100€ to one of you!!! So head over to the Belle Etoile Instagram account and participate!! You can thank me later ;)). Update: Giveaway is closed! A girl never owns enough makeup. And the safest way is definitely an eyeshadow palette from Urban Decay. Trust me. Sephora sells them all! My favourites are the new Cherry and Back Talk, both in rosé tones for sweet eyes in Winter. Useful extra, most of the palettes include a brush so no need to buy extra ones! Last month I wrote an entire article regarding my favourite cosmetics, check it out for more inspo! I buy all my palettes at Sephora in Luxembourg City and the average price is 50€. In my previous blogpost I showed you my skincare routine where I already talk about J’adore Bio, another local start-up but this time from the cosmetic sector. This is the perfect gift for girls. Dear boys, make your girl happy with natural cosmetics! The three products featured above are my current favourites for a present because they are different, the packaging is perfect and the stories behind each is unique. In fact, J’adore Bio works with small businesses from Europe. The lipsticks you see are lipbalms with 4 (!!!) ingredients only, tha naked one has only 3!! Dr Martens, footwear for any age. Imagine you unwrap your Christmas present and you find a pair of Docs inside! I don’t know about you, but my reaction would be - damn, that’s freakin awesome! Why is this shoe so great? Well, Docs are simply rock’n’roll. You look cool immediately no matter how chic or girlie the rest of your outfit is and that’s why I like them, they break the rules + they’re compfy, I think that every girl should have a pair of these. The look below was the result of a fashion challenge organized by Belle Etoile, how about a tutu with docs for Xmas or NYE? :D (tutu from Ville Neuve, available in different colours) and Docs from Sacha Shoes also located at Belle Etoile. This is an exclusive first communication about a new brand, it has launched today my friends!! And I’m proud to announce you the news! Actë Nation is a new accessory brand from Luxembourg, created by a Luxembourgish lady, Maïté, and the products are made in Spain! The idea behind the “Win & Wyn, the Twin Pouch” is that it opens up like a transparent book so you can easily find what you need. What I particularely like about the pouche is that from now on, you don’t need the disposable plastic bags for the control check at the airports anymore. You can easily detach one side of the pouch and use it for your plane trips! The pouches are available in 8 different colours and for me, it’s an amazing gift for a woman with style. Why not filling it with a few vegan cosmetics for an extra surprise;)? The price of a pouch is 165€ - i know! But you need to know that it’s a superior quality, a local designer product and handmade in Spain. With my code “ANNA20” you get a discount of 20% until December 31! And because you were so supportive this year… I am giving away one Pouche on Instagram tomorrow, December 13, open for Europe ! Last but not least, I would like to present you Desenio, I wrote about this brand in another post but I love the brand so much so I ordered new posters and frames and wanted to show you some! If you want to re-decorate your bedroom or office for the new year, this will be a good help! But it can be a great Christmas present for you loved ones as well! There is something for every taste, from inspirational quotes to moody forest photos! Also, the paper quality is very good, not comparable to classic shiny posters. The frames are great too: light and minimalistic, available in several colours! I orderered many posters but here you can see which ones I added to my home office yesterday. The Autumn Forest poster and Planet Mars go so well together, don’t they? The third photo is my own! I took it at the Belgian coast last Summer. Get a discount of 25% my friends with the code ANNAK25, only valid until tomorrow (not valid on frames and handpicked/collaboration posters)! I also need the frames for the Troc’n’Brol exhibition, an alternative Christmas market held this Friday evening at the Rotondes in Luxembourg City. I sure hope to see some of you! You can find all the infos in my previous blogpost! The idea is not to buy an artwork but to make an exchange. Of course, if there is a photo that you absolutely want, I can sell it to you privately! It will be all about travel photography for my part! :) I am exhibiting some of my Cuba photos I’ve not shared with anyone until now… Below a little preview! So my friends, I hope that I could inspire you with this new gift guide! As you can see, I added three giveaways for you so make sure to participate if you like the gifts! In Luxembourg City, you can find other cute gifts at the alternative Christmas market Troc’n’Brol this Friday and at the Stijlmarkt on Saturday and Sunday! Thanks for reading, love A.